For safety reasons, talking on the phone while on the road is something prohibited in many countries. 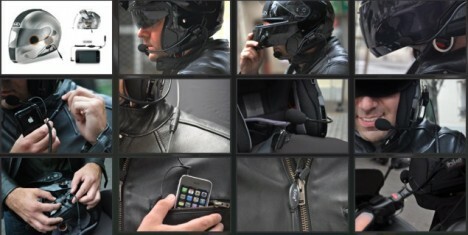 Therefore, if you are always on the road with your Ducati or Honda Superbike, iBike Rider, an interesting iPhone accessory perhaps is useful and practical to give you a safer and more secure hands-free communication experience. Targeted particularly for iPhone riders, iBike Rider is actually a wrist mounted and weather-proof case that is designed to give bike riders easy access or communication via their iPhone while they are cruising around in two wheels. The case features a clear and transparent plastic cover which allows users to navigate their iPhone. 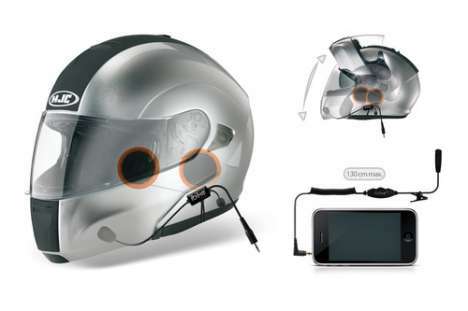 Bike riders can wrap the case around their arms with straps and connect it with an optional paired helmet mounted headset for better and easier communication. Users can answer calls, listen to music and even receive GPS instruction in case they need road directions from one place to another.